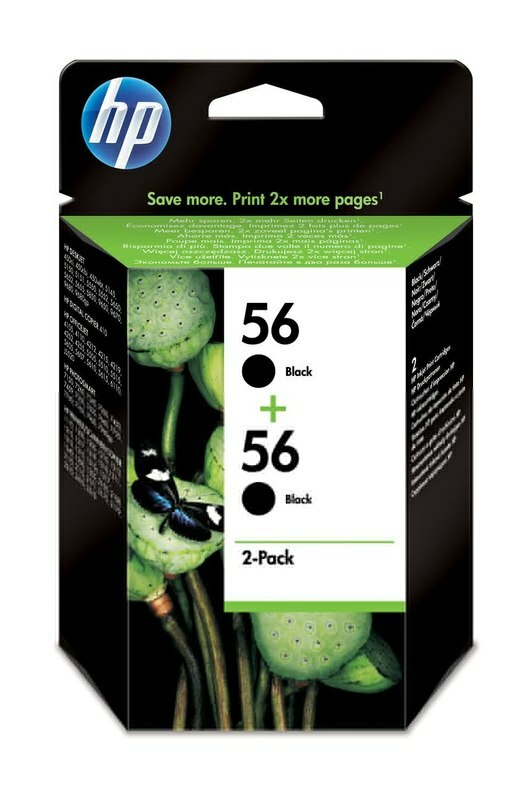 HP 56 Ink Cartridges provide laser-quality text and crisp images. Get consistent, reliable performance for a wide variety of printing each time you print. This 2-pack saves you money with double the ink.